Communities across the country will receive a share of £500,000 to educate, commemorate and celebrate the outstanding contribution of the Windrush Generation and their descendants, Communities Minister Lord Bourne has today (21 March 2019) confirmed. Over the coming months, 50 community groups and local authorities will use the funding to lead school projects, street parties, exhibitions, talks and workshops to recognise and honour the great legacy of those who stepped ashore at Tilbury Docks over 70 years ago. From Bristol to Birmingham and Liverpool to Leeds, educational workshops, cultural festivals, theatre productions, TEDx style talks, community gardens and intergenerational cooking sessions will form a rich and wide-ranging series of events. "The Windrush Generation fought for and supported Britain during the war, and then went on to rebuild Britain. They are the story of modern Britain and learning about their contribution is a vital part of our shared history and heritage. "Their legacy lives on in their children and grandchildren and the communities they have built up and down the country. "I am proud that those communities and the nation as a whole will have the opportunity to commemorate and celebrate the Windrush Generation and their descendants’ key role in Britain’s history." In June 2018, the government announced an annual Windrush Day to encourage communities across the country to commemorate the Windrush story on Windrush Day (22 June) and throughout the year. The national celebration is backed by a £500,000 Windrush Day Grant Scheme overseen by a Windrush Day Advisory Panel of community representatives. The Windrush Day Grant Scheme was launched in November 2018 and received over 400 bids for funding from community groups, charities and local authorities across England. 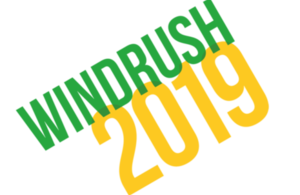 There was a wide range and variety of applications with successful bids confirmed in Devon and Broxbourne reflecting the breadth of enthusiasm in communities across the country to mark Windrush Day 2019. "Those enterprising youngsters from the Caribbean who stepped off the Empire Windrush on 22 June 1948 are part of a historic movement of people that has demonstrated fortitude and faith in building a future for themselves, their communities and this country. "Windrush Day 2019 provides a great opportunity for the nation to commemorate and celebrate this ongoing contribution to multicultural Britain. I congratulate those groups that have been successful in their funding applications and will lead this year’s commemorations, adding to the many others that will do the same self-funded. "I look forward to joining in and keeping this rich Windrush legacy alive this year and for many years to come." Windrush Day, 22 June, marks the anniversary of the arrival of MV Empire Windrush at the Port of Tilbury, near London, on 22 June 1948. The arrival of the Empire Windrush over 70 years ago marked a seminal moment in Britain’s history and has come to represent the rich diversity of this nation. The people who arrived on the Empire Windrush, their descendants and those who followed them have made and continue to make an enormous contribution to Britain, not just in the vital work of rebuilding the country and public services following WWII but in enriching our shared social, economic, cultural and religious life. Overcoming great sacrifice and hardship, the Windrush Generation and their descendants have gone on to lead the field across public life, in business, the arts and sport. Britain would be much diminished without their contribution. Thurrock Council, home to the Port of Tilbury where the Empire Windrush docked over 70 years ago, will run a series of educational workshops for children and residents, followed by a celebratory Windrush Carnival. There will be 92 creative educational workshops in dance, flag-making, and puppetry between April and June, which will be hosted by schools and community venues. The materials created in these workshops would then be used for the celebratory Windrush Carnival in July. The Nurses Association of Jamaica (UK) was founded by a group of nurses from the Windrush Generation. It is working with the Jamaican High Commission on the Windrush Legacy Publication, a book that features 500 men and women of the Windrush generation and their contribution to British society. It is due to be released in the week before Windrush Day and 5,000 copies will be distributed to schools, community centres, and libraries across the country. Blackburne House Education will run a project about the female descendants of the Windrush Generation who arrived in Liverpool. There will be a series of workshops with local women, with the focus on men from the Windrush Generation who married local women and how those inter-racial marriages were received at the time. Through the workshops, participants will create a documentary using archive footage, photography and oral history, and develop new skills. The project will be run in partnership with local community groups and historians, as well as the Museum of Liverpool. The MV Empire Windrush docked at the Port of Tilbury on 21 June 1948. However, passengers disembarked a day later on 22 June 1948 - hence why this has come to be known as Windrush Day. The Windrush Day Grant Scheme was launched on 22 November 2018. See more information about the 50 community groups and local authorities that are set to receive funding. Ministry of Housing, Communities and Local Government is a devolved department. As such, the Windrush Day Grant Scheme is an England only policy area. Following the success of the Windrush 70 events, the Advisory Panel have been considering how best to celebrate Windrush Day each year. Made up of community representatives from locations around the country, the Panel provides advice directly to government. Its key focus is ensuring that winning bids are appropriate and resonate with Caribbean communities.